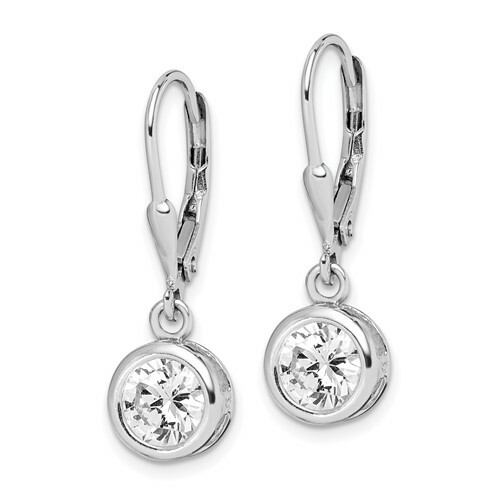 Sterling Silver CZ Leverback Earrings. Measures 1 1/16 inches tall. Earring width: 7mm. Weight: 3.5 grams. Made in USA.